During the Iranian revolution as part of an attempt to preserve certain treasures, a covert group stole into the Tehran Museum of Contemporary Art and spirited away several priceless paintings. Unfortunately, most of those were deemed to be forgeries and the whereabouts of the originals unknown. Fast forward several decades and semi-retired Quixote operative M.J. Smith finds herself laid up in a nursing home with a broken leg. At the request of her boss, she has been asked to keep her eyes open, but for what she doesn’t know. When a fellow resident drops dead during a rendition of Macbeth, M.J.’s mission becomes clearer with her dying breath: “Smoke”. Just who was Dorothy Rivers and how does she know M.J.’s codename? M.J. and Dottie’s surviving friends set out to catch not only a murder but also a thief in this unique mystery. 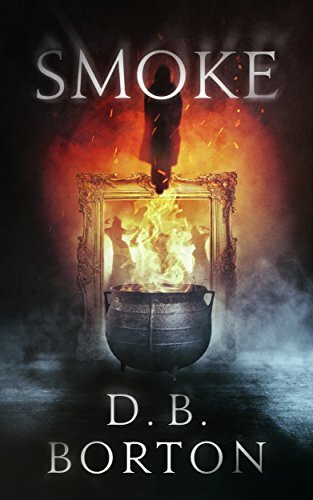 Smoke by author D.B. Borton can best be described as a heist novel that spans several continents and decades and is part cozy mystery with a dash of Golden Girls thrown in for good measure. I really liked how the main character, M.J. is septuagenarian; but don’t underestimate her for one second. As a veteran operative of the secret Quixote organization, she can teach her younger counterparts a thing or two. Toss in her nursing home companions and eventual associates, Addie and Theo, and the trio makes for a surprising team to hunt down and retrieve stolen art. Unlikely as it may seem, it works, and at times the trio had me laughing out loud as they played up the “little old lady” angle for their unsuspecting marks. If you are looking for something a little different and appreciate a spunky female protagonist, D.B. Borton’s Smoke may be the read for you. I am hoping that this is not just a one-off novel as I would love to read more of M.J.’s exploits with Quixote.